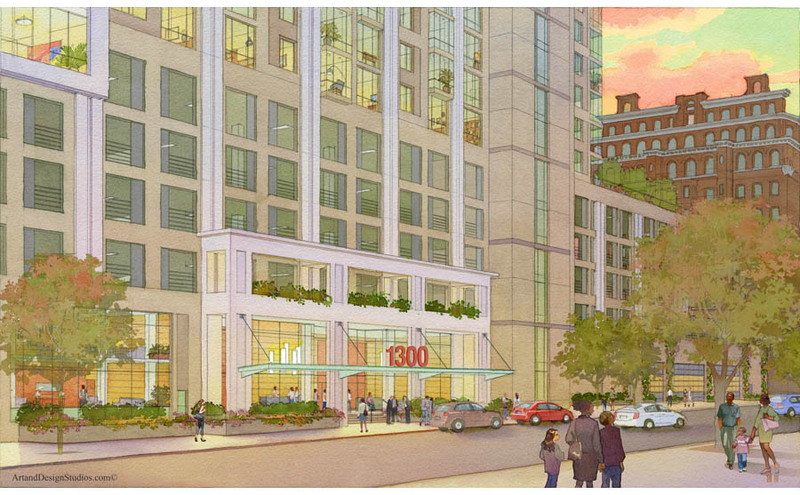 Watercolor rendering of 1300 Fairmount Avenue mixed-use commercial residential development. Architectural watercolor technique. 1300 Fairmount, a mixed use project by RAL Development Services LLC. and Amalgamated Bank's Longview Ultra Fund, will offer approximately 480 apartments and structured parking above approximately 84,000 square feet of retail space geared towards national and regional retailers.